UltraMeal Cardio 360° from Metagenics is a nutritional drink mix designed to provide support of cardiovascular health and cholesterol levels already within a healthy range by supplying vitamins, minerals, phytosterols, beta-sitosterol, and antioxidants. 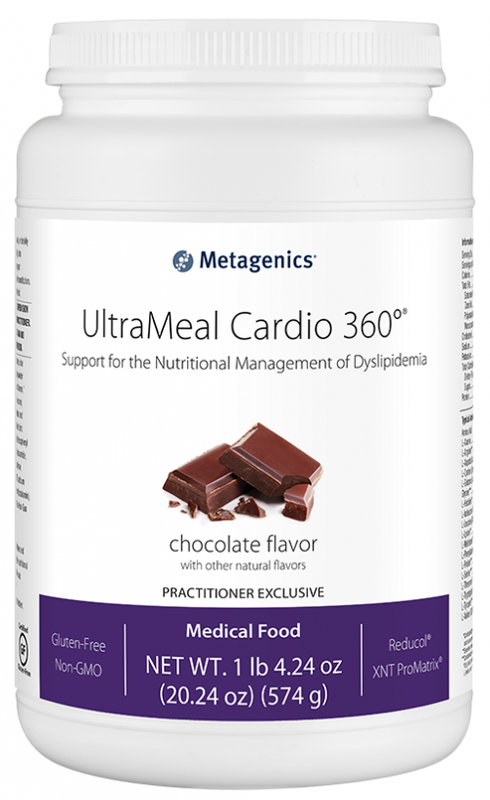 UltraMeal® Cardio 360° is a medical food which is formulated to provide specialized nutritional support of cholesterol levels already within a healthy range by supplying a combination of phytosterols, bioavailable xanthohumol from hops (XNT ProMatrix™), essential and trace dietary minerals, antioxidant nutrients (vitamins C and E), and much more. 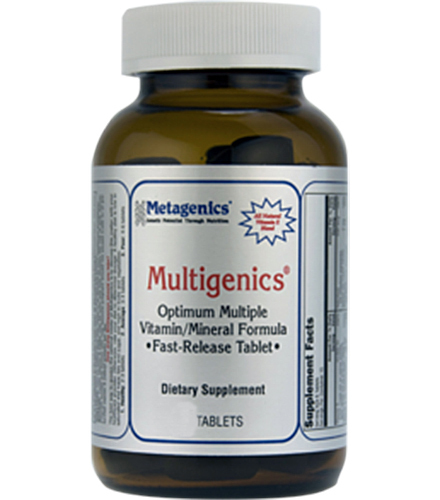 UltraMeal Cardio 360 from Metagenics contains all of the standard vitamin and mineral content that one would expect from a medical food formulation. 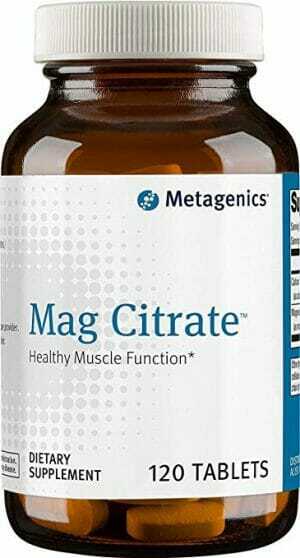 What sets it apart is the addition of 900 mg of plant sterols, primarily beta-sitosterol. Plant sterols are chemical compounds found in plants which are similar in structure to cholesterol. As such, it is thought that they may be able to support healthy cholesterol levels already within a natural range by limiting the quantity of LDL (or ‘bad’) cholesterol in the blood. 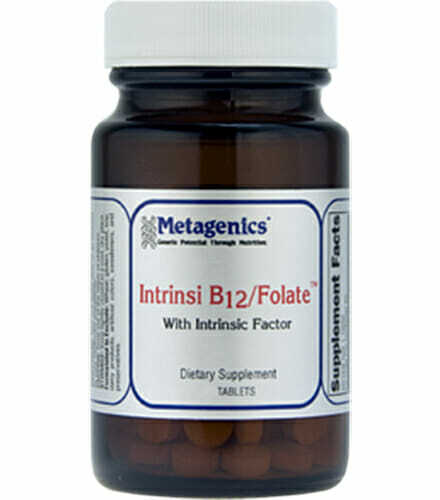 Also contains vitamin C and E which posses antioxidant properties. 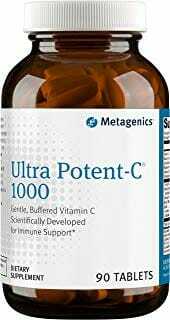 Antioxidants are substances which neutralize free radicals and counter the accumulation of oxidative stress – cellular damage which has a particularly negative effect on blood flow. Ingredients: Pea protein isolate, isomalto-oligosaccharide, natural flavors, rice protein concentrate, organic cane sugar, Dutch processed cocoa powder, high oleic sunflower oil, flaxseed, L-lysine HCl, phytosterols, silica, L-leucine, magnesium citrate, L-valine, guar gum, protein matrix and polyphenols from hops extract, vitamin and mineral blend (zinc gluconate, ascorbic acid, manganese gluconate, d-alpha tocopheryl acetate, copper gluconate, D-biotin, retinyl palmitate, niacinamide, cholecalciferol, d-calcium pantothenate, chromium picolinate, pyridoxine HCl, riboflavin, potassium iodide, thiamin HCl, methylcobalamin, calcium L-5-methyltetrahydrofolate, and selenomethionine), L-isoleucine, xanthan gum, dicalcium phosphate, and Luo Han Guo fruit (monk fruit) extract. This product is non-GMO and gluten free. † 15 grams total protein with added amino acids: L-leucine, L-isoleucine, L-lysine, and L-valine. Blend (for no longer than 15 seconds), shake, or briskly stir about 2 level scoops of UltraMeal Cardio 360° (41 g) into 8 ounces of chilled water twice daily, or as directed by your healthcare practitioner.